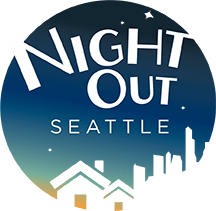 If your neighborhood plans to participate in the 30th Annual Night Out on August 5, Seattle Department of Neighborhoods has a fund to support your event and activities. The Small Sparks Fund provides matching dollars for neighborhood-initiated projects that promote community engagement. Community groups can request up to $1000 to help fund Night Out planning efforts and activities such as outreach efforts, educational fairs, bike parades, and neighborhood cleanups, to name a few. The deadline for applications is Monday, June 23 at 5:00 p.m., but you must register in its web-based application system before June 20 to apply. For information on the application process, visit seattle.gov/neighborhoods/nmf/smallsparks.htm or call 206-733-9916. The Small Sparks Fund is open to applications year-round. Night Out is a national Crime Prevention event designed to heighten crime prevention awareness, increase neighborhood support in anti-crime efforts, and unite communities. To learn more about Night Out, visit www.seattle.gov/police/Nightout/.